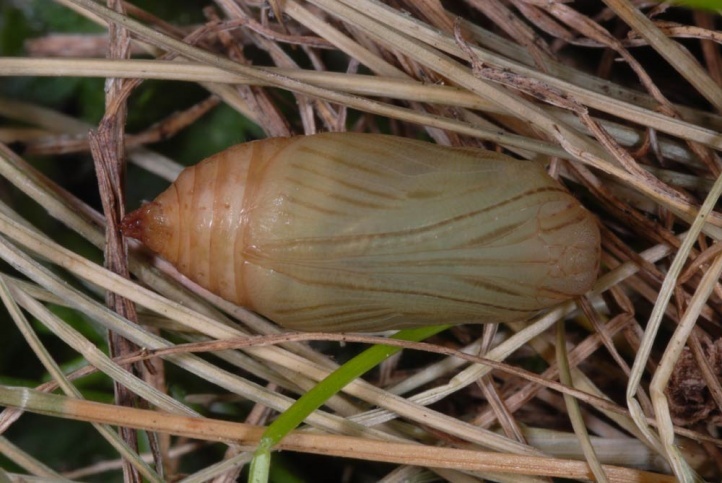 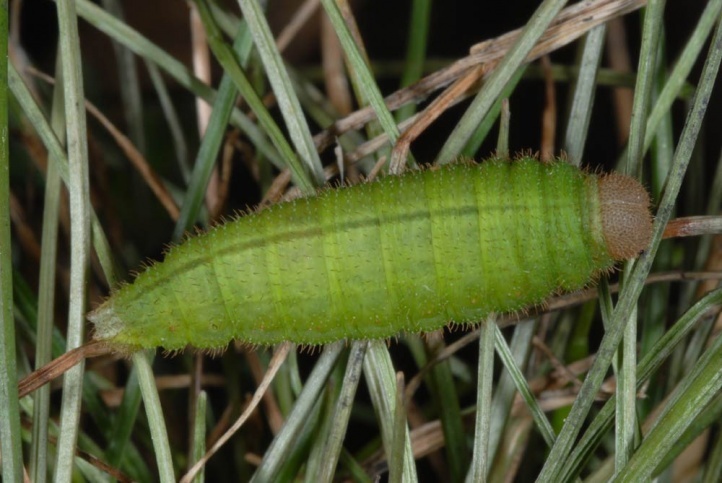 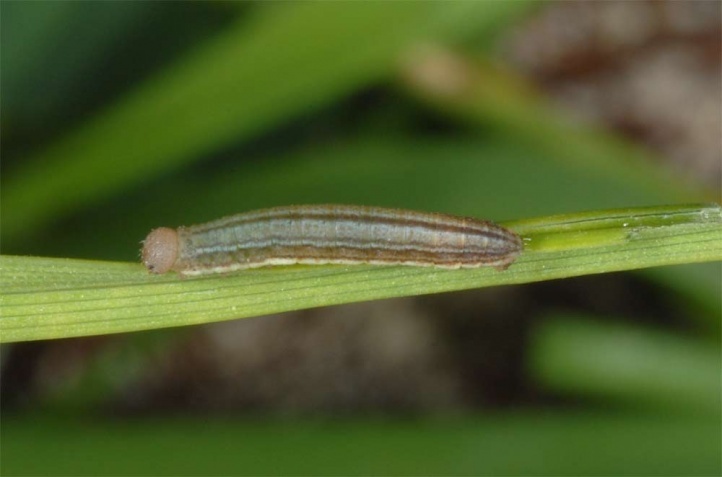 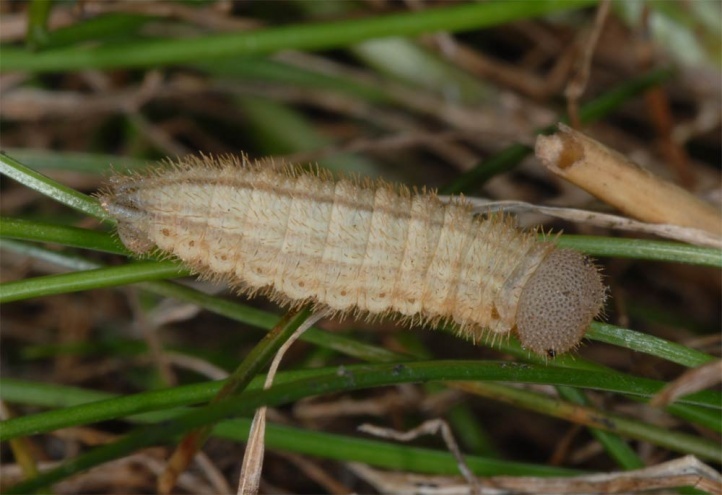 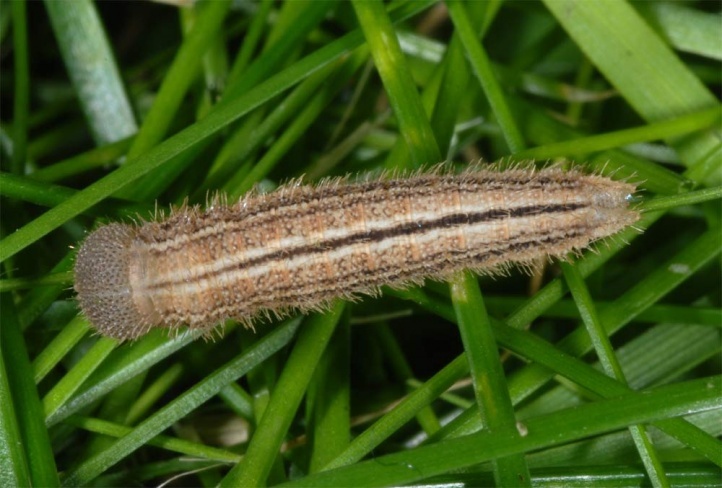 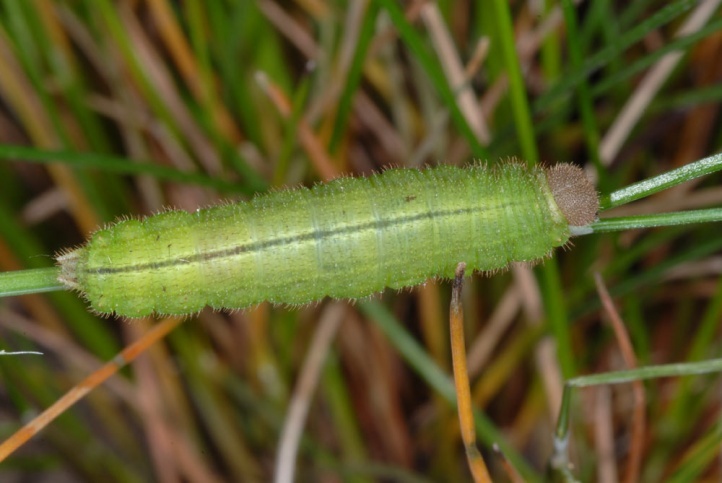 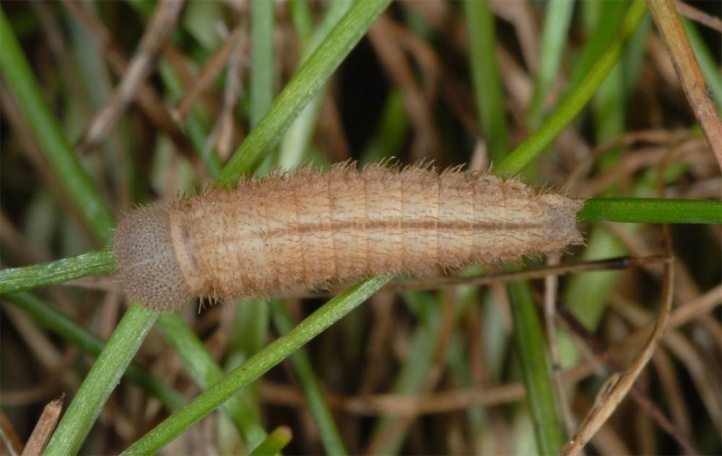 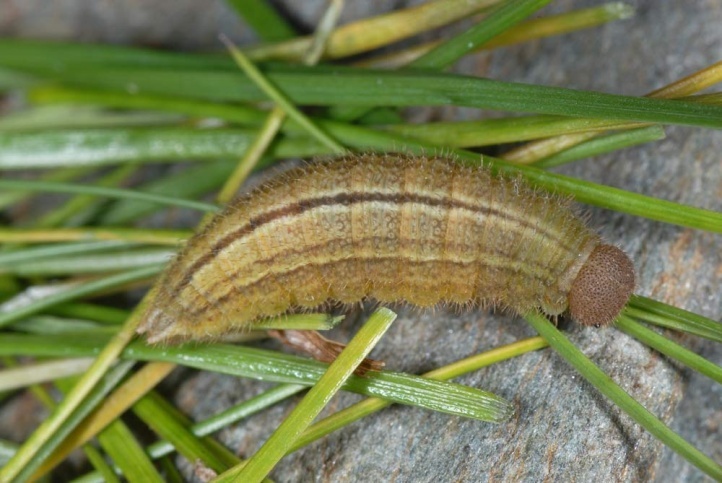 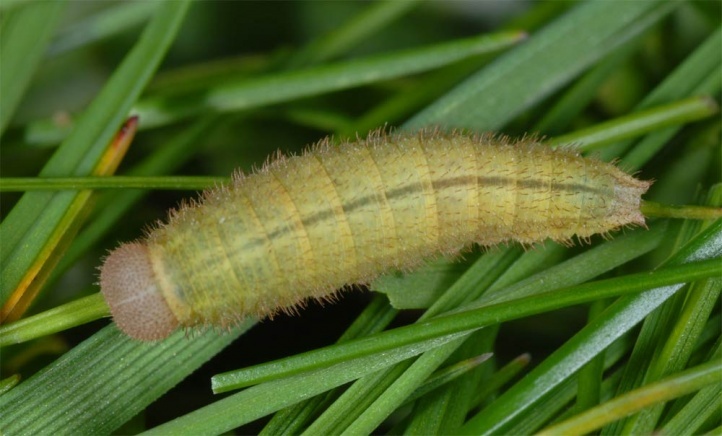 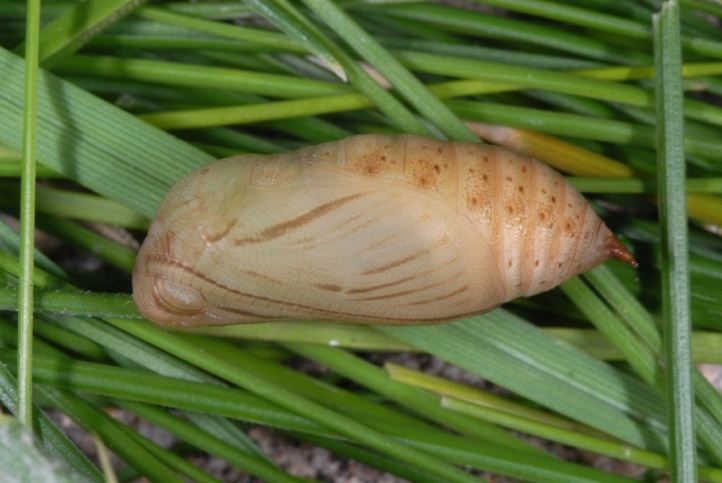 The larvae feed on grasses with lower production, especially Festuca species such as Festuca ovina, Nardus stricta and Avenella flexuosa. 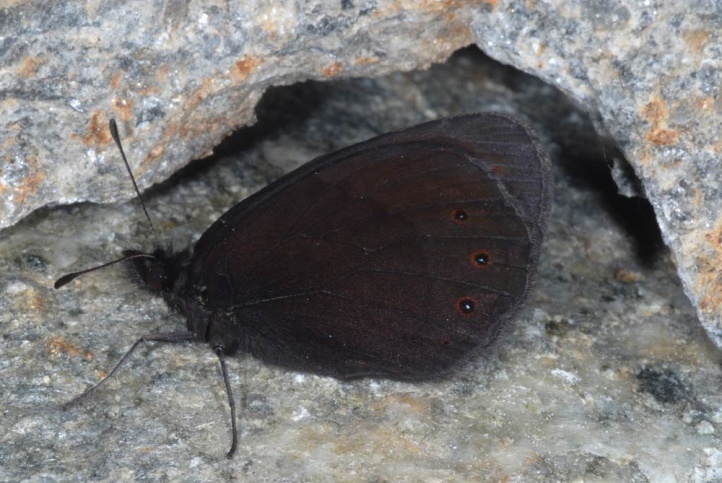 Erebia meolans inhabits areas with open soil spots such as rocky slopes, rocky pastures, embankments and similar sites. 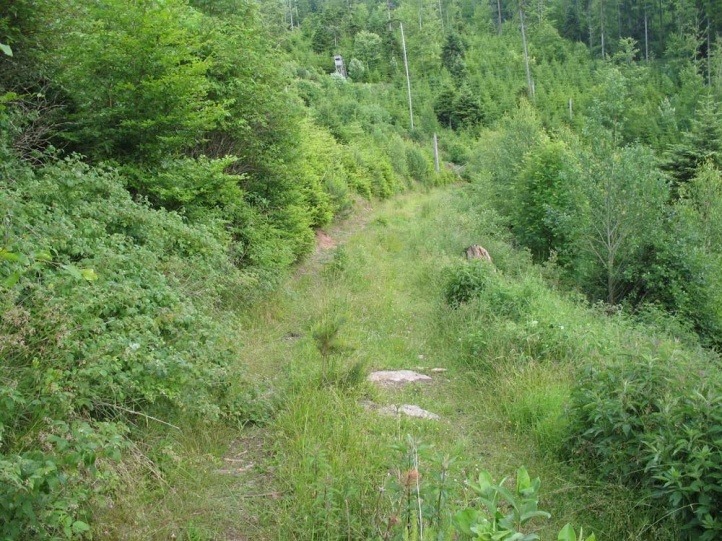 In many cases, the sites are near to the forest. 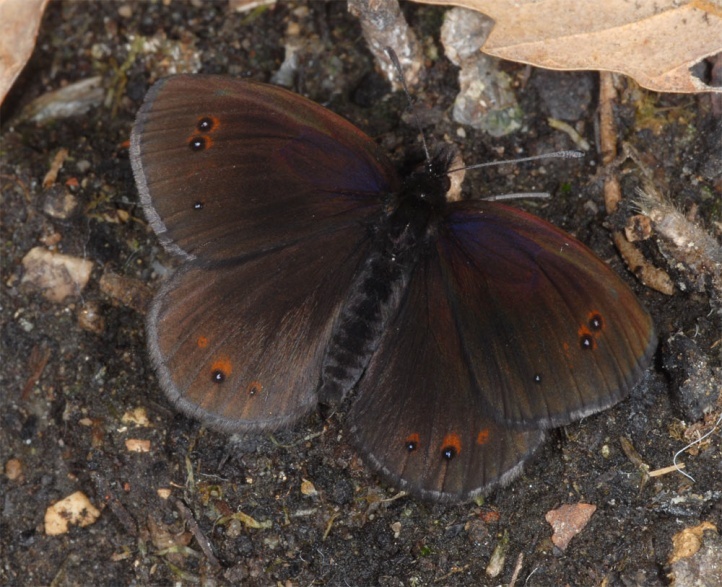 The possible habitat also include young windthrow areas and wide forest edges. 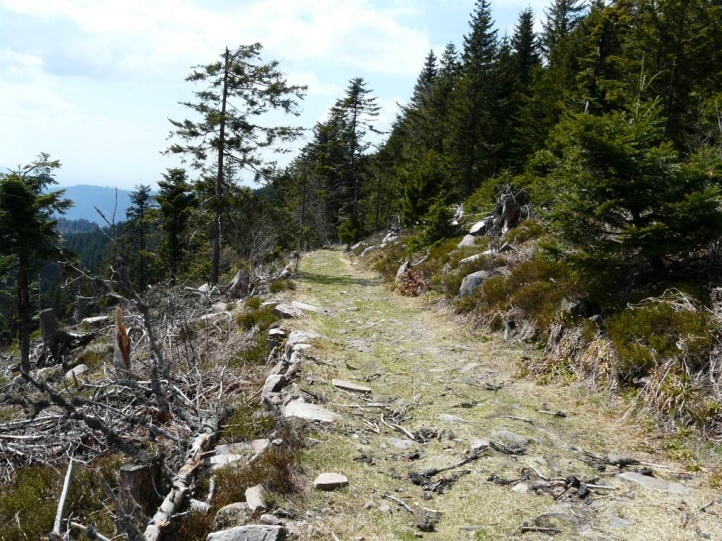 The altitude can vary from 400m above sea level to over 2000m above sea level, but most of the localities are situated in the upper montane forest belt from 900 to 1800m above sea level. 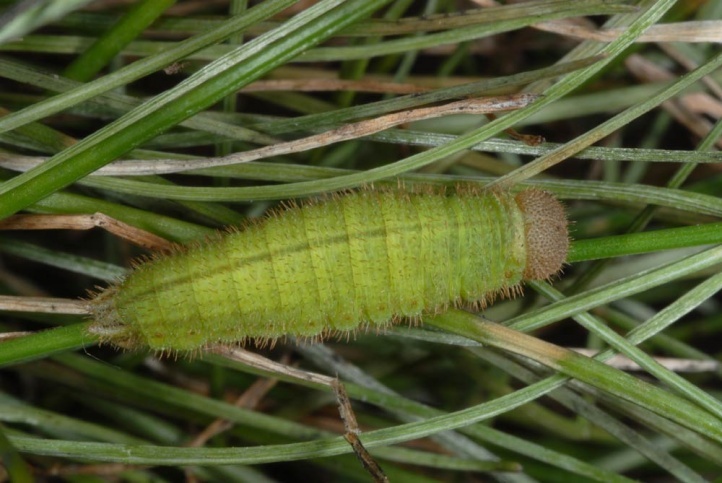 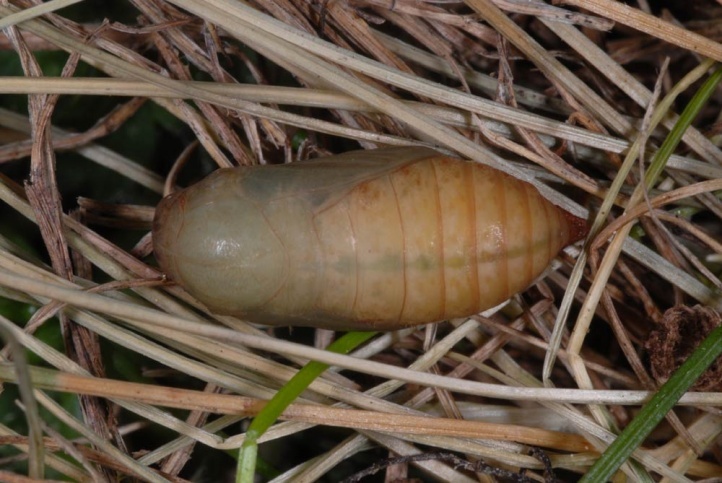 The caterpillar hibernates usually once in penultimate instar. 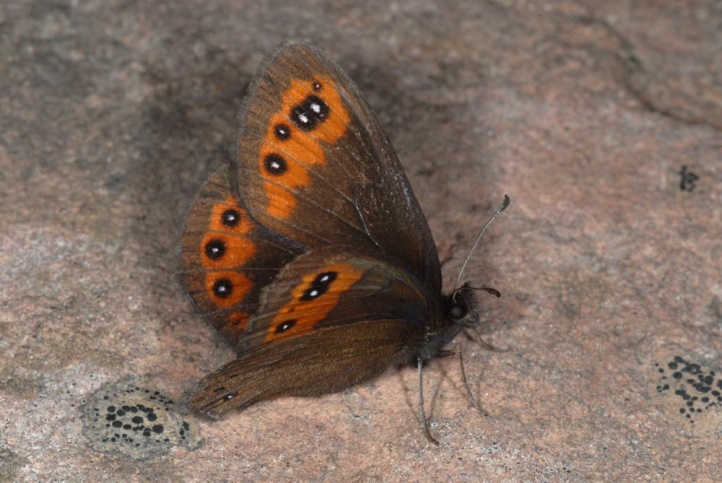 In the upper elevations two winters are possible. 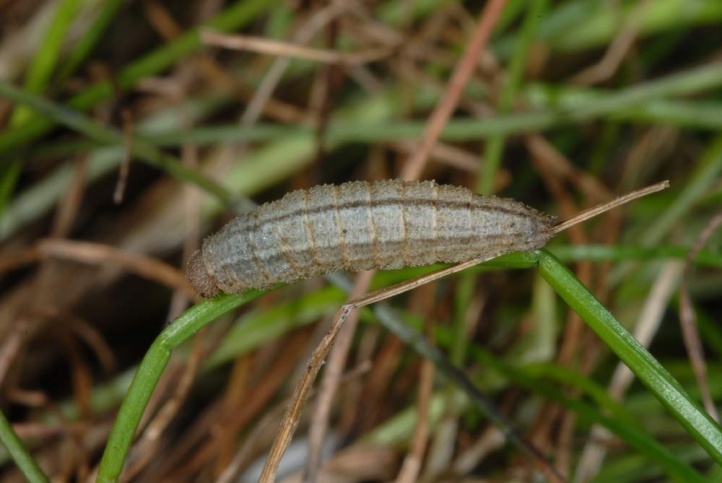 I found caterpillars in penultimate instar in April 2008 in the Black Forest at 1100 meters above sea level just after the snow melted in Avenella flexuosa clumps along paths through windthrow areas. 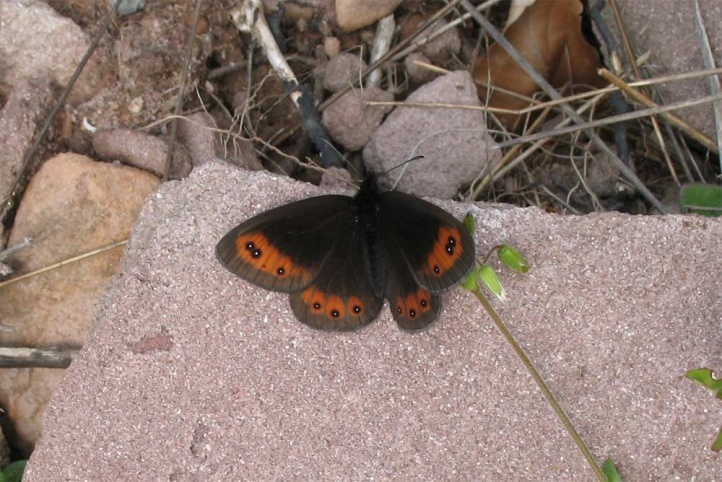 The adults fly from mid-May to August, depending on the altitude. 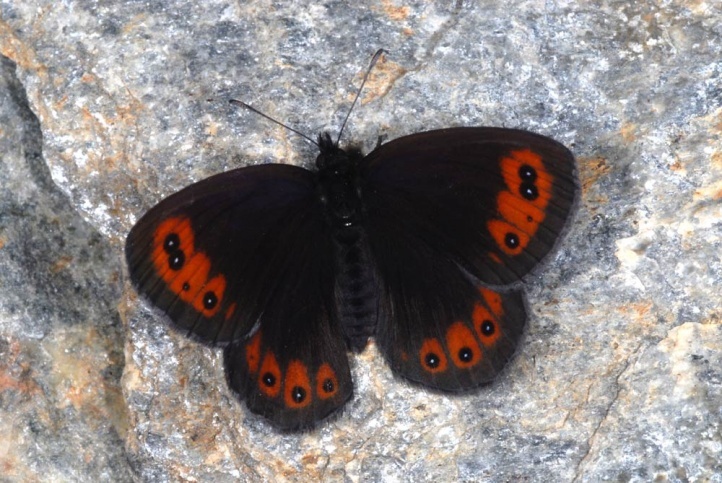 I observed butterflies in 2000m asl in the western Valais in early August 2008. 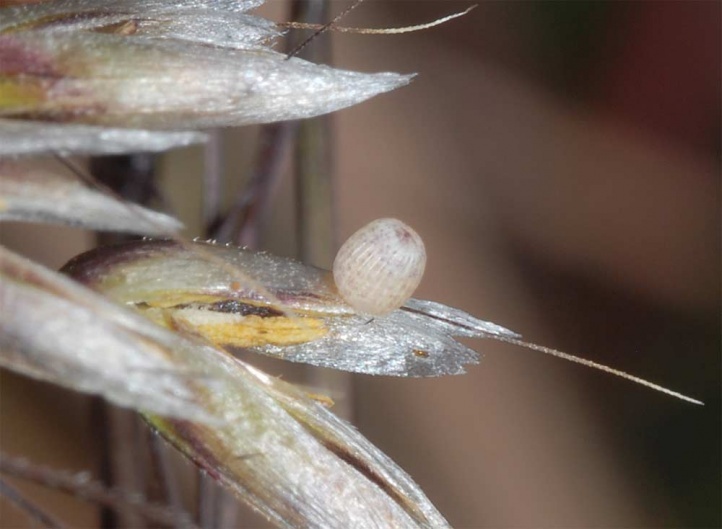 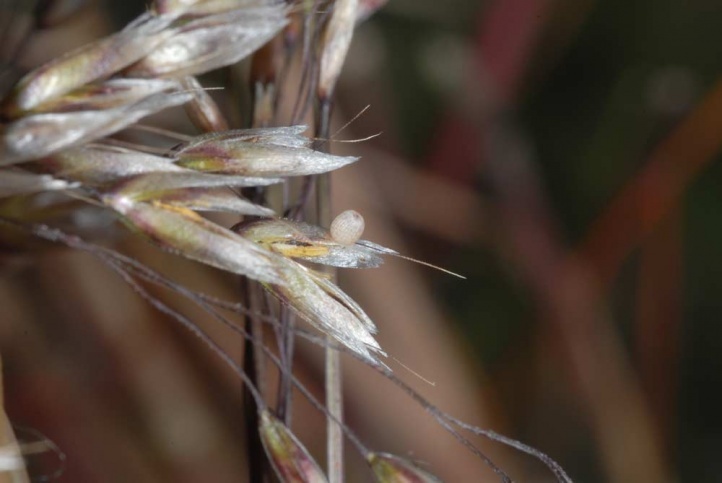 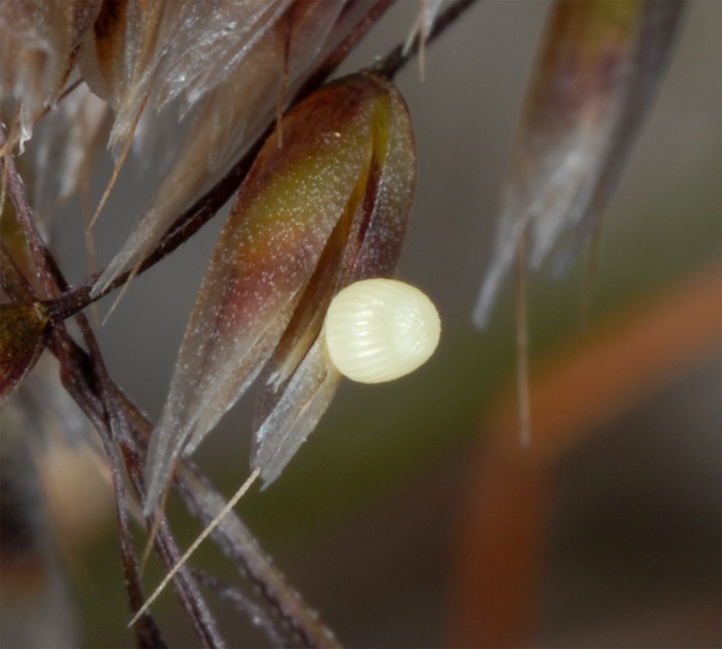 Oviposition takes place either on grass flowers or close to the ground in thP clumps. 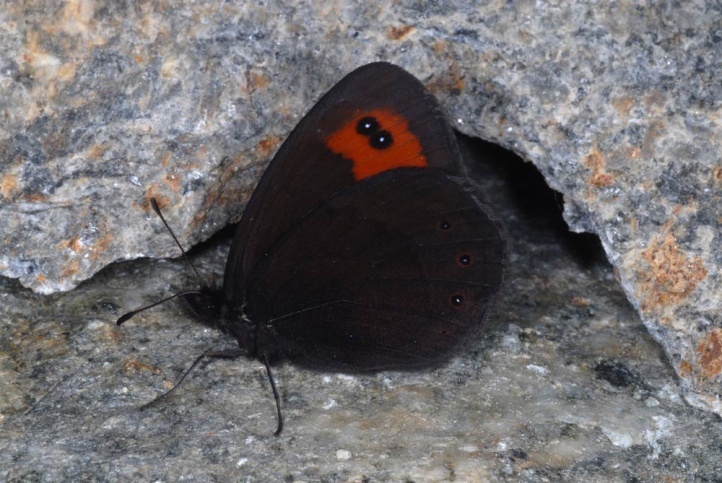 populations of Erebia meolans usually live at altitudes, where they are still fully exposed to the human activities. 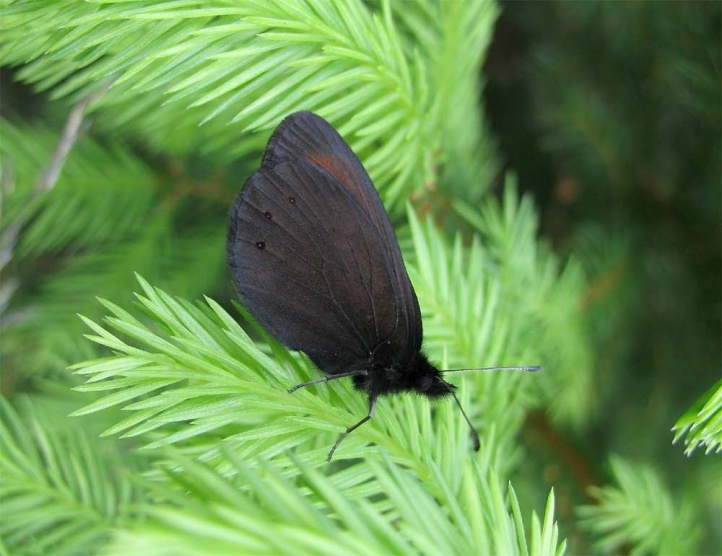 Therefore usually a significant threat must be stated due to dense afforestation or agricultural and tourist expansion. 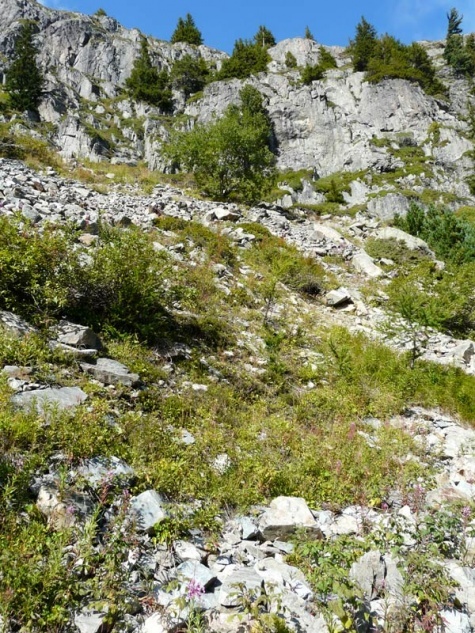 Only natural rocky slopes are more secure. 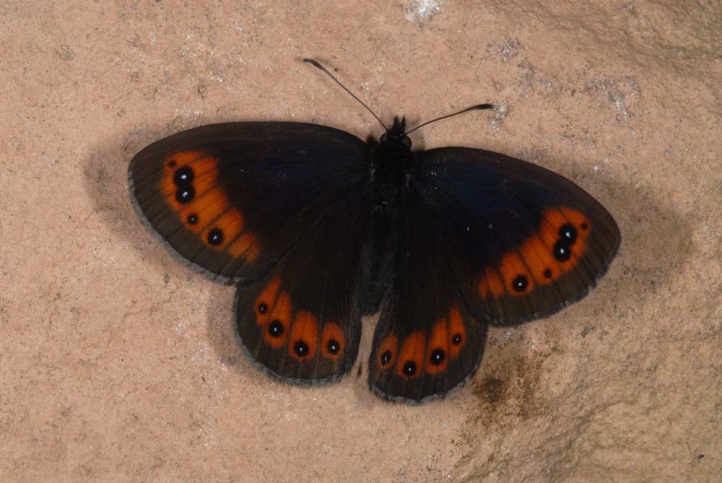 In Germany Erebia meolans has declined in the Black Forest in the lower elevations and is probably extinct in the Thuringian Forest. 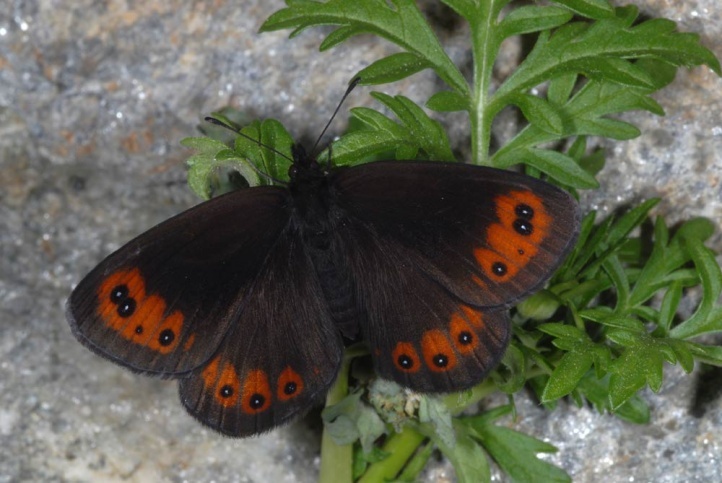 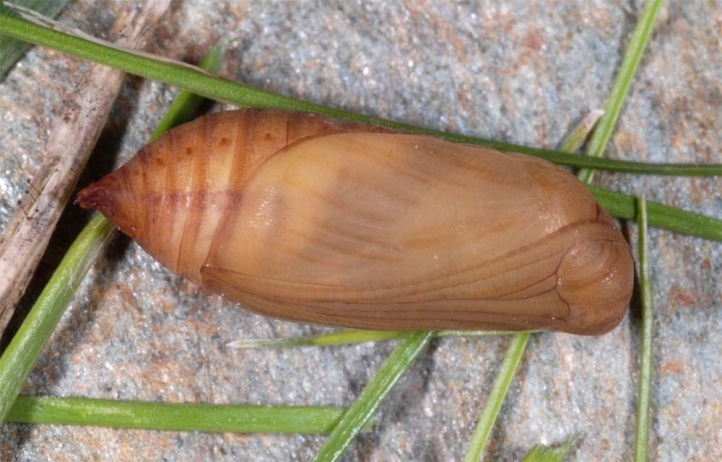 Erebia meolans is distributed in the mountains of Western Europe (Northern Spain, Pyrenees, French Massif Central, Alps, locally Apennines, Black Forest, Swiss and French Jura, Vosges, Bavarian Forest, formerly Thuringian Forest). 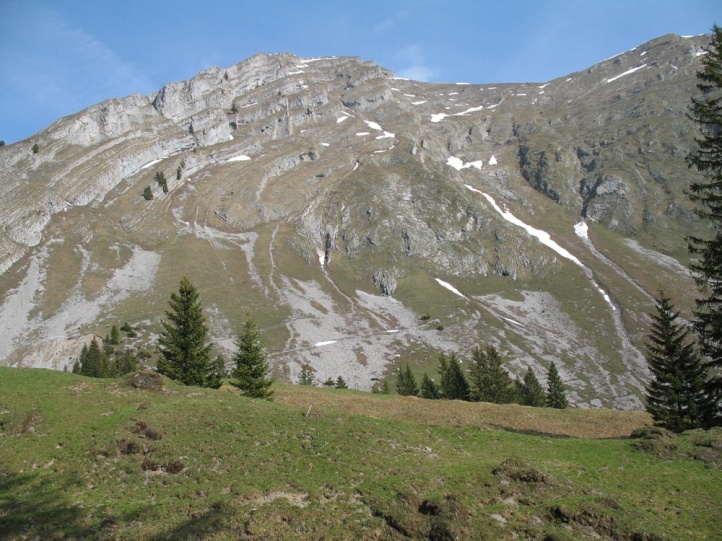 In the Alps, a dense population of the western Alps stands opposite to a significant thinning to the east, so that in the eastern Alps (e.g. 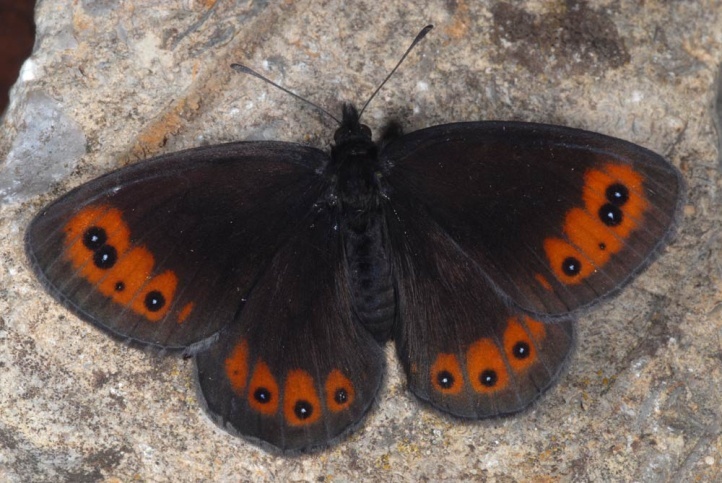 eastern Bavaria and eastern Austria) no sites are known.